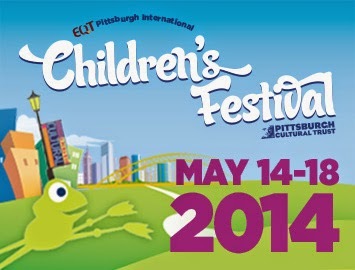 I am so excited for the EQT Pittsburgh International Children's Festival to begin this week! There will be so many amazing shows, activities, & entertainment! And even if you don't want to purchase tickets for shows, there are PLENTY of free events to enjoy with your family. You can read more about the venues that require tickets here. Free events during this year’s Children’s Festival will take place in and around the pop-up green space LilyPad Park, at the outdoor Community Stage featuring performances by local and regional artists, and at various locations within the footprint of the Cultural District. The Park and Stage are located at 8th Street and Penn Avenue, in the Cultural District. Free and fun happenings include everything from hands-on activities, to crafts, games, art, film, ecology, science, music, dance, story readings, tennis, yoga, and more! Festival hours are 9:00 a.m. to 2:00 p.m. on Wednesday and Thursday; and 9:00 a.m. to 6:00 p.m. on Friday, Saturday and Sunday. For a complete schedule of Festival events, visit: TrustArts.org/PGHKids. FREE ACTIVITIES: LILYPAD PARK & MORE LOCATIONS-CULTURAL DISTRICTThe following list includes some of the over 30 free events taking place during the Festival. 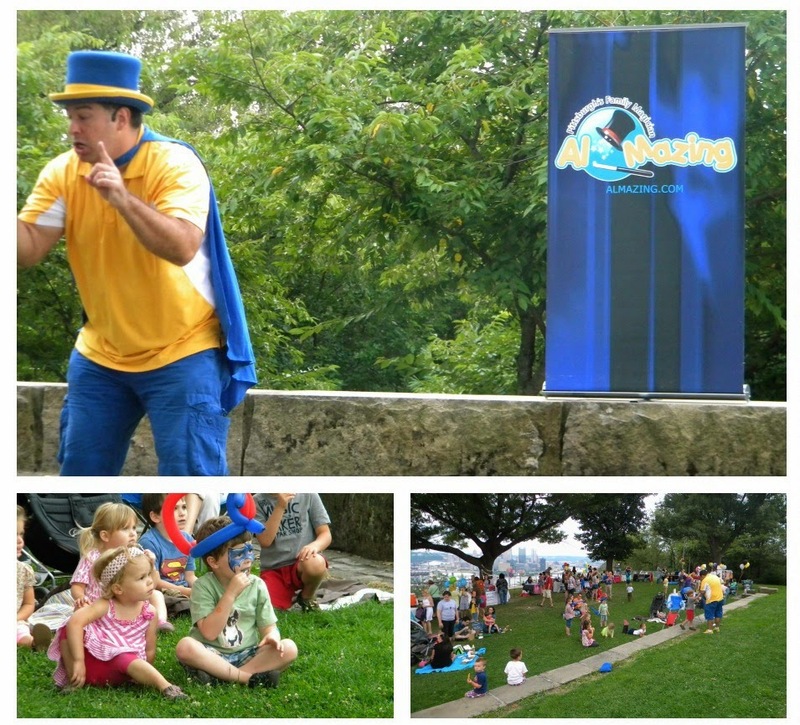 For a complete schedule of dates, times and locations for these Festival happenings, visit: TrustArts.org/PGHKids. Pittsburgh landmarks created with thousands of LEGO® bricks are part of the Steel City LUG Lego Display at 807 Liberty Avenue. The cultural display includes a six-foot bridge decorated with the most well-known Pittsburgh buildings, as well as sculptures of popular landmarks—maybe Heinz Field, perhaps the Cathedral of Learning, or the Frick buildings?—that won’t be unveiled until the start of the Festival. Friday, May 16, 5:30 p.m.
Saturday, May 17, 2:00 p.m.
Sunday, May 18, 2:00 p.m.
Once Upon a Toon shines a spotlight on creativity! This fun, interactive program blends original stories and live cartoon illustration. Saturday, May 17, 1:00 p.m. & 4:00 p.m.
Sunday, May 18, 1:00 p.m. & 4:00 p.m.
Come to the Arcade for fun and games with Penny Arcade! The following list includes some of the free performances taking place during the Festival. For a complete schedule, visit TrustArts.org/PGHKids. Ghost Stories, Fantasy, Folk Tales and Legends– With a repertoire of hundreds of stories from around the globe, Storyteller Alan Irvine can weave a tale for anyone. Little Shimmy Bellydance is directed by Berna, a well-respected local dancer and instructor. Her group La Belle Sultana and friends will delight you with bellydancing and music from around the world! From deep within the urban forest of Pittsburgh’s East End, the Squirrel Hillbillies will emerge to share their eclectic repertoire of acoustic folk, country, and blues featuring guitar, ukulele, mandolin, percussion, and vocal harmonies. 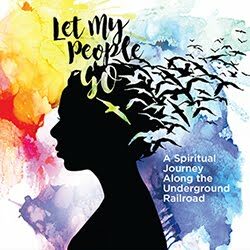 Saturday, May 17, 11:00 a.m. – 12:00 p.m., Carnegie Library of Pittsburgh, 612 Smithfield St.
Join the Carnegie Library of Pittsburgh on a Storytelling journey! Please note two locations for this event. Together, Josh & Gab have developed a unique and unforgettable musical comedy program for all ages, featuring original songs, comedy, and interactive discussion, all with the goal of celebrating creativity and finding alternatives to negative behavior. Stretch your body and your mind. Designed specifically for the kids, this session will be led right from the Festival’s Community Stage! INFORMATIONFor more information about the schedule of free daily happenings, as well as the international ticketed performances being presented during the EQT Pittsburgh International Children’s Festival visit: TrustArts.org/PGHKids, call 412-456-6666, or in person at Theater Square Box Office, 655 Penn Avenue. PARKING AND TRANSPORTATIONFor information about parking lots and garages in the Cultural District, visit ParkPGH.org. A limited number of prepaid parking vouchers for parking at Theater Square Parking Garage, entrance located on 7th Street, are available at a discounted price. Call 412-456-6666 for more information. The Cultural District is serviced by public transportation options through the Port Authority of Allegheny County. For more information, visit http://www.TrustArts.org/visit/public_transportaion. Vendors will be selling a variety of foods on the Festival grounds ̶ all sales are cash only. Benches and grass seating areas are available in pop-up green space LilyPad Park, 8th Street and Penn Avenue, to enjoy food vending or packed lunches. For information about the Cultural District, visit http://www.TrustArts.org/about/explore. About Pittsburgh International Children’s TheaterPittsburgh International Children’s Theater, a division of the Pittsburgh Cultural Trust, opens the door for children to experience professional performing arts programming, which inspires, challenges, educates, and stimulates respect for and an understanding of all cultures in an entertaining and enlightening way. The Pittsburgh International Children’s Festival (celebrating its 28th year in 2014) is one of only four international children’s festivals in the nation. The Pittsburgh International Children’s Theater Family Series (2014 ̶ 2015), now in its 45th season, introduces children to the arts early in life, sparking their interest and appreciation so they continue to enjoy and support the arts as they grow up. For more information, visit TrustArts.org/PGHKids. About the Pittsburgh Cultural TrustThe Pittsburgh Cultural Trust has overseen one of Pittsburgh’s most historic transformations: turning a seedy red-light district into a magnet destination for arts lovers, residents, visitors, and business owners. Founded in 1984, the Pittsburgh Cultural Trust is a non-profit arts organization whose mission is the cultural and economic revitalization of a 14-block arts and entertainment/residential neighborhood called the Cultural District. The District is one of the country’s largest land masses “curated” by a single nonprofit arts organization. A major catalytic force in the city, the Pittsburgh Cultural Trust is a unique model of how public-private partnerships can reinvent a city with authenticity, innovation and creativity. Using the arts as an economic catalyst, the Pittsburgh Cultural Trust has holistically created a world-renowned Cultural District that is revitalizing the city, improving the regional economy and enhancing Pittsburgh’s quality of life. Thanks to the support of foundations, corporations, government agencies and thousands of private citizens, the Cultural Trust stands as a national model of urban redevelopment through the arts. For more information, visit TrustArts.org. Follow them on Twitter @CulturalTrust, and like us on Facebook. Nice information. I am looking for park avenue deo. I didn't used it once. My friend advised me for it. so i want to try it.